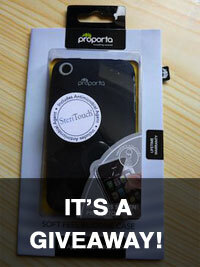 The iPhone case giveaway ended on Friday at midday, and here are the lucky winners! I’ll contact each of you in turn to see which case you’d like. If there are any cases that the winners don’t want, I’ll grab another random winner and let you know. What are the full iPhone unlocking policies of the UK networks? I’ve already looked at how to buy the cheapest officially unlocked iPhone in the UK, but what if you already have your iPhone? If you’ve decided you either can’t or don’t want to use an unofficial unlock, such as ultrasn0w from the iPhone Dev Team, then that leaves you with one option: get it unlocked officially by a mobile network. There’s a clear policy on this website: no press releases. 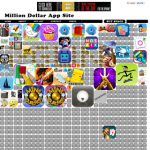 There are plenty of other sites that provide that sort of news regurgitation service. But on this occasion I’m going to break that rule. I like to make people aware of iPhone-related things that are interesting, or just good ideas. And the best ideas are often the simplest, like this one. And now I’m going to give them away! 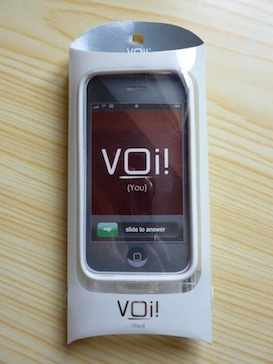 I’ve recently reviewed the Proporta Soft Feel Silicon Case and the VOi! Lorem. 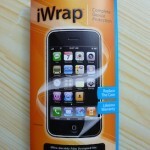 Lastly in this series of case reviews is the iWrap. 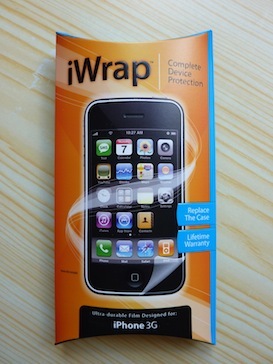 This is a totally different proposition – it’s not a case, it’s a plastic cover, but it goes over the whole phone. And you need to use adhesive to stick it on. To be honest, I was a bit worried about what was going to happen to my iPhone when I took this review on. 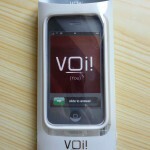 I’ve already reviewed the Proporta Soft Feel Silicon Case, and next up in my series of case reviews is the VOi! Lorem. 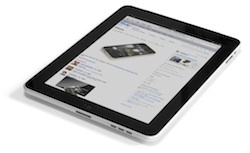 I was quite impressed with the Proporta case, but this one is different – it’s a hard case with changeable front pieces. Plus, it’s the only case Ive seen with an integrated lanyard in the back, to help you hold on to your iPhone. Will it be enough tempt me away from the Proporta case? 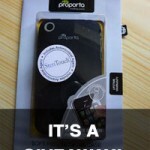 I have a few iPhone cases to review, and I’m going to kick off with one from Proporta. I’ve always had a silicon case for my iPhones, as I have a tendency to drop them. I’ve reviously been using a cheap silicon case for my iPhone 3G from Carphone Warehouse, which I reviewed in an earlier article. 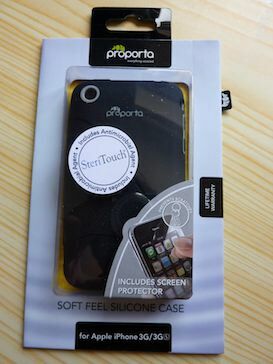 That case was a bargain at a tenner, whereas Proporta’s Soft Feel Silicon Case for iPhone 3G and 3GS is five pounds more. 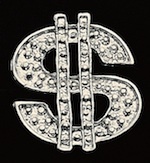 So how does the pricier case compare? Things are getting a bit sparse round here, so I’m going to get back to the reason I set this website up in the first place: blogging about iPhone things that I come across and find interesting or useful.